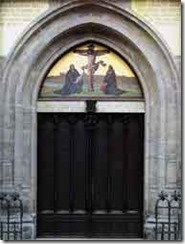 Happy Halloween –Happy Reformation Day! I know. October 31st is known for witches, goblins, pumpkins, and trick or treat. It is amazing to me how in the last 20 years or so Halloween has gone from a one night ‘celebration’ to become an entire ‘holiday’ season of it’s own with parties and decorations that span nearly an entire month. Plus it has become an excuse for every TV station to flood the air with the worst horror movies of all time. Not a genre that I am particularly fond of. However, this is also the anniversary of a real earth shaking -game changing- historical event that altered the face of Europe and forever changed the Christian Church. 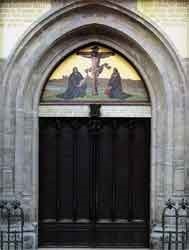 500 years ago on this day- October 31, 1517, Martin Luther nailed his 95 Theses on the door of a church in Wittenberg, Germany starting The Reformation. The enemy (Satan) likes to use this day for propagating his dark agenda but on this day 500 years ago a genuine move of God was initiated that still continues. The beginning of a revival right in the face of the enemy on his own day.